The Giacomo Ascheri Cellars originated in La Morra: in the early 19th century, the first vines were planted in that area, where a place called “Ascheri” still exists, and the first wines were produced. At that time in the Langhe, vine-growing and wine-making were still primitive and rudimental: wines were mostly sold in demijohns and they travelled for several days before reaching the selling points. 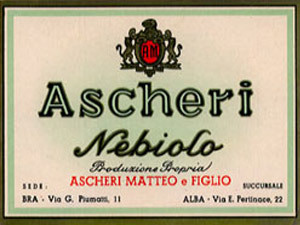 However, a reliable account dating back to that period and concerning the “Ascheri” vine cultivation method ( then considered modern for its technical innovations ) clearly shows how , since its very beginning, the Ascheri Winery stood out for its commitment and innovative methods. In that period, thanks to its geographical position, Bra had become the most important town for the distribution of Barolo, the best known wine of the area. Bra was, in fact, conveniently located and it had good connections with Turin, the most important wine market in the region due to the presence of the Royal House of Savoy. The Royal Family itself owned important estates in the surroundings of Bra, such as the Pollenzo Estate and the S.Vittoria d’Alba old Winery. 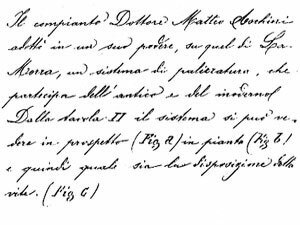 For these reasons, in 1880 our winery was moved from La Morra to Bra, where it is still situated nowadays. At present our cellars are the only ones left which can boast such an ancient and beautiful heritage. The years from the early 20th century to our days have been characterized by a steady effort to increase the value of our products. With a view to expanding our estates by acquiring the most valuable production areas, we have subsequently added to the original La Morra Vineyards (mainly producing grapes for Barolo, Barbera d’Alba and Dolcetto d’Alba) the estates of Serralunga d’Alba, Verduno and Bra.